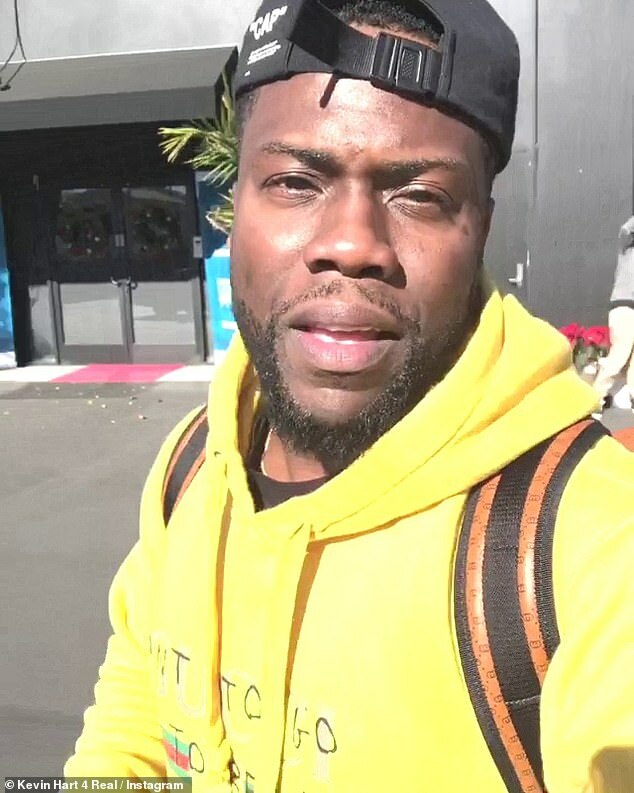 Just a day after his controversial interview with Ellen DeGeneres and being slammed by CNN’s Don Lemon for continuing to refuse to apologize for old homophobic jokes and tweets, comedian Kevin Hart has posted a message about growth and learning. 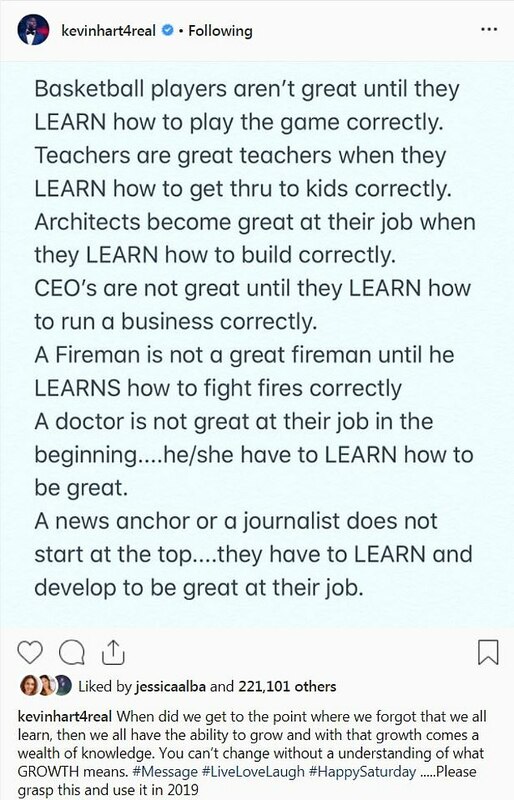 The 39-year-old comedian shared a photo that featured a number of examples of how people in various fields have to ‘learn’ to be great. The last sentence said that a journalist ‘does not start at the top….they have to LEARN to be great,’ which may have been a veiled response to criticism over his interview. ‘When did we get to the point where we forgot that we all learn, then we all have the ability to grow and with that growth comes a wealth of knowledge,’ Hart said in the Instagram post’s caption. You can’t change without a understanding of what GROWTH means. #Message #LiveLoveLaugh…..Please grasp this and use it in 2019,’ Hart concluded. Hart didn’t comment any further, but he has come under fire from prominent journalists like CNN’s Don Lemon, which may be what the photo may be aimed at. 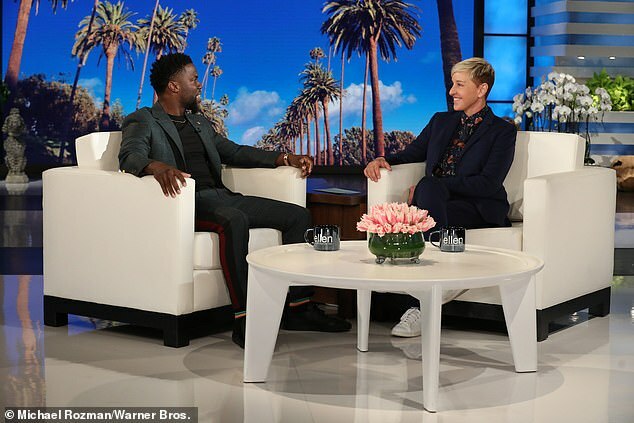 During her show, DeGeneres, a trailblazing member of the LGBTQ community herself, defended Hart and said she even contacted the Academy to try and get Hart to return as host. 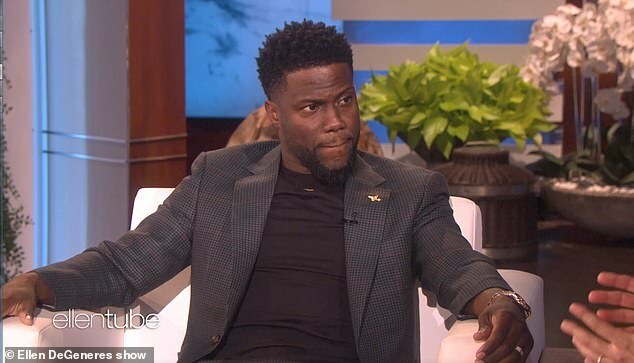 Hart acknowledged during the interview that he is ‘evaluating’ a possible return as the Oscar host, with no host still named just under two months before the February 24 telecast. He went on to say that all the coverage that ensued was an ‘attack’ and omitted his old apologies. After Hart’s Ellen interview, Don Lemon, an openly gay news anchor, criticized the interview, stating that Hart should be listening to the LGBTQ community. 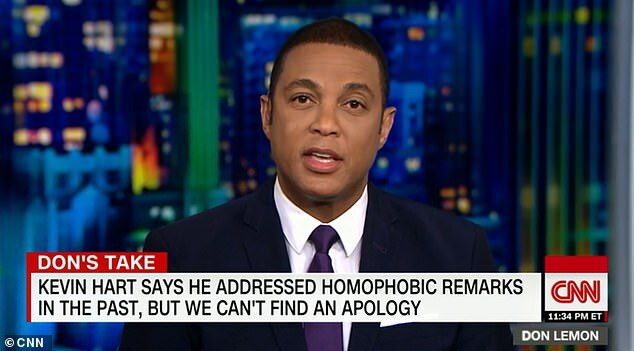 ‘Kevin, if anything this is the time to hear other people out, to hear why they might have been offended,’ Lemon said during his Don’s Take segment on CNN Tonight. ‘I don’t see any meaningful outreach to the community…. and now you want the conversation to end,’ Lemon added. ‘To many they (apologies) seem insincere, and that he has somehow turned himself into a victim instead of acknowledging the real victims of violent and sometimes deadly homophobia,’ Lemon said. The day after it was announced that Hart was selected to host the 91st Oscars, several of Hart’s 2009 to 2011-era tweets resurfaced, in which he made homophobic cracks. Segments from a 2010 stand up routine, in which he talked about the ways he discouraged his young son from being gay, were also dug up. 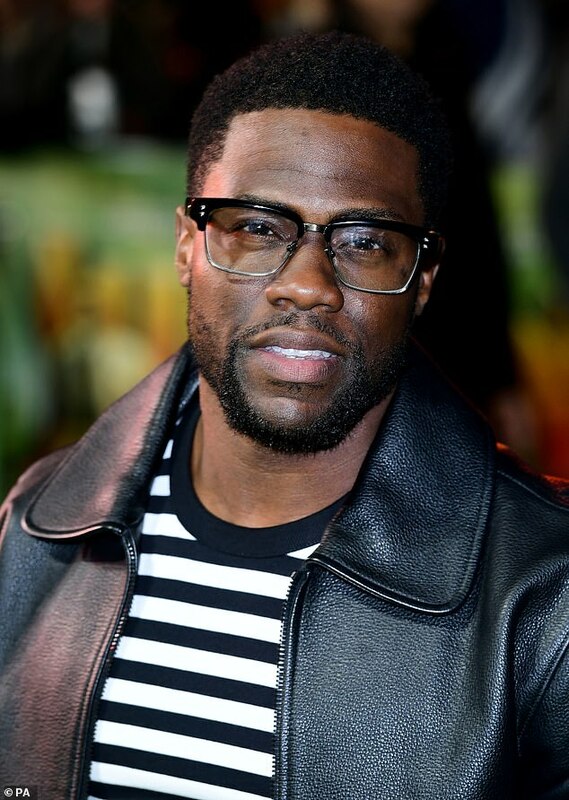 The Academy asked Hart to apologize for insensitive tweets, but he refused to do so, claiming that he’d already addressed the old jokes, and stepped down from the hosting position instead. But, for many observers, the issue is that no record of Hart actually stating that his jokes and tweets were wrong seems to exist, although there are plenty of instances in which he is quoted as saying that he no longer tells those kinds of joke. 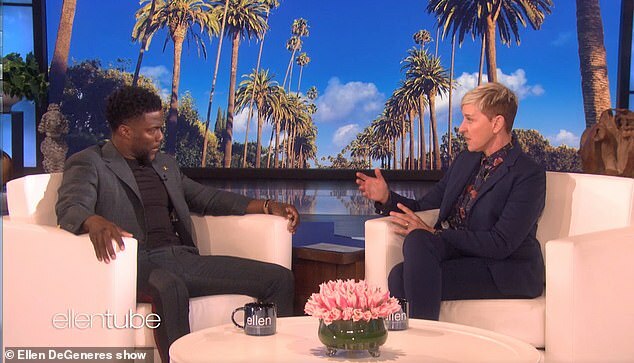 An in-depth examination of his past statements, which was carried out by Vulture and posted Friday after his Ellen appearance, failed to unearth the apology that many are calling for. Lemon said that his staff also was unable to find an instance of an apology. Following Hart’s interview with Ellen, it’s now rumored that the Academy of Motion Picture Arts and Sciences may re-consider Hart as the Oscar host.